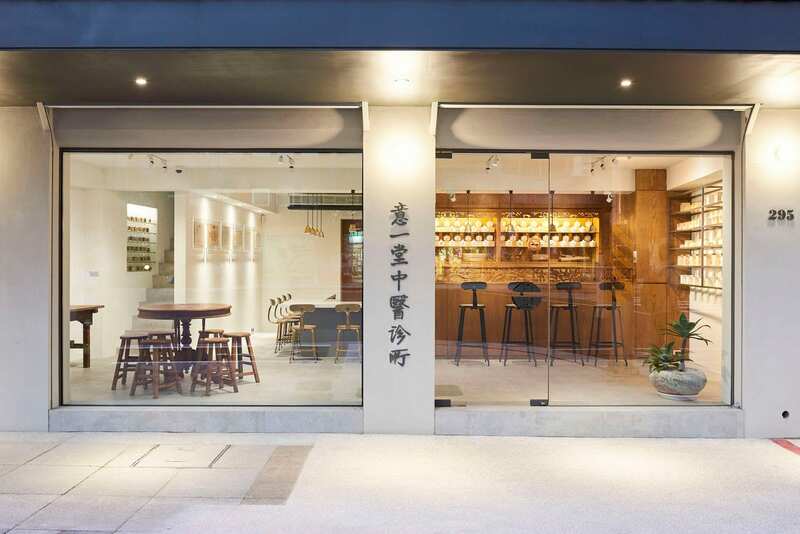 It’s not every day — or any day, come to think of it — that you come across something described as vintage Taiwanese design. The Etsy seller was based in Copenhagen, Denmark. The poster was priced at just over 2,000TWD. It was for the Taipei International Architectural Design Competition in 1995. An open call for entries from design professionals and students. It was an original print — not a reproduction. 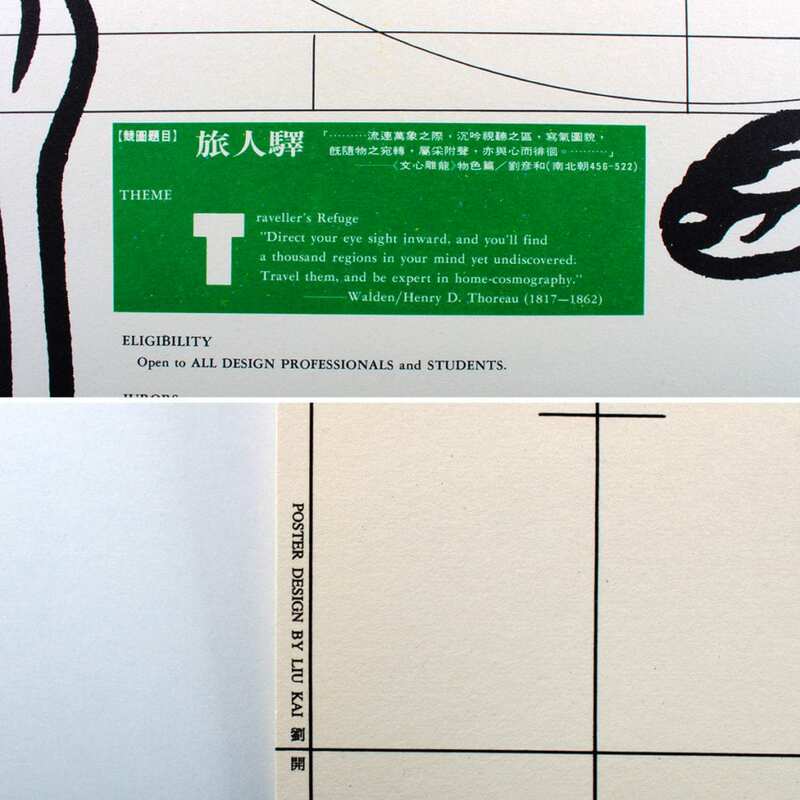 The artwork was by Liu Kai [劉開], a prominent and respected Taiwanese graphic designer born in 1957. 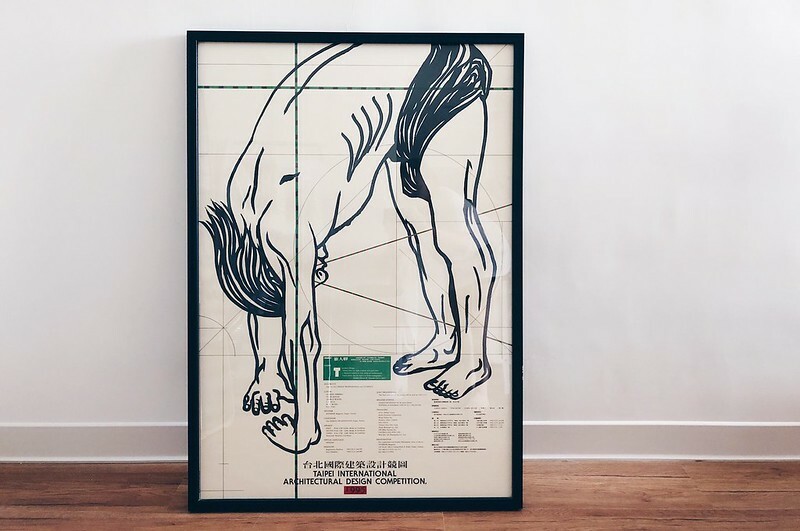 Liu Kai is best-known for designing movie posters for Ang Lee, Hou Hsiao-hsien and others. He also created artwork for Cloud Gate Dance Company and various arts organizations. I think it’s safe to say if Liu was a working designer today, he might be one of the most popular in Taiwan. On a whim, I added the poster to my cart and clicked “buy”. The Etsy seller’s name was Houston Wilson, and he runs the DanishVintageDesigns store on Etsy. 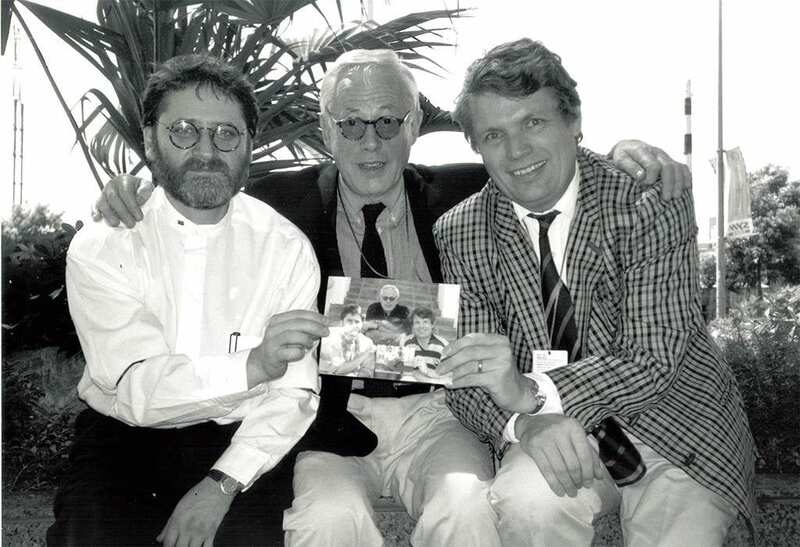 All I had was the name of the former director of the Danish Design Center: Jens Bernsen. After some online searching, I found this photo on Facebook. Sounds like 1995 was a big year for design in Taipei. 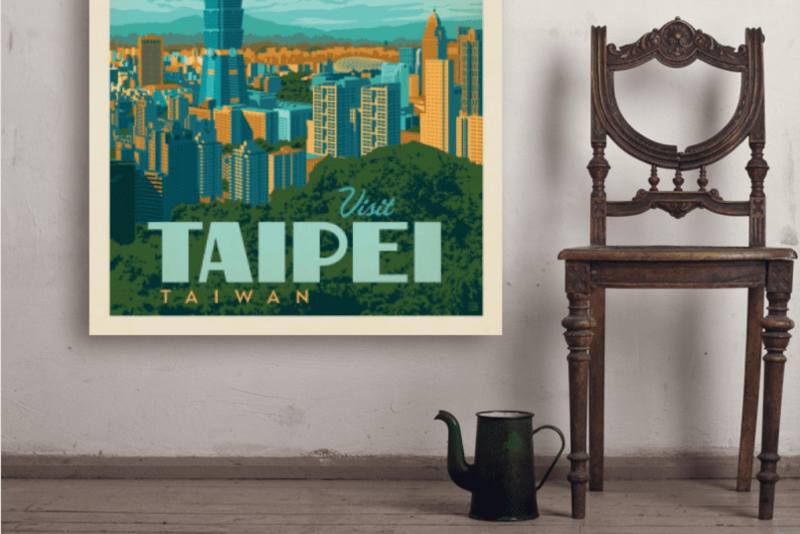 What likely happened is Jens Bernsen was in Taipei for the Icsid Congress and stayed in Taipei for the architecture competition, where he received the poster and added it to his collection back in Copenhagen. I’m pretty excited to have accidentally come across this little piece of Taiwan design history. And proud to have brought it back home to Taiwan. Thanks to Houston and his Etsy shop for sharing the late Jens Bernsen’s poster collection. If you’re interested, he has two more copies of the same poster. One’s for sale. (Update: It already sold!) The other he’s keeping for himself. Oh, I should also thank the sake that inspired this impulse purchase. Unfortunately, I couldn’t find out more about the 1995 International Taipei Architecture Competition. If you have any info, please share! Photo credits: Houston Wilson and Icsid’s Facebook page.